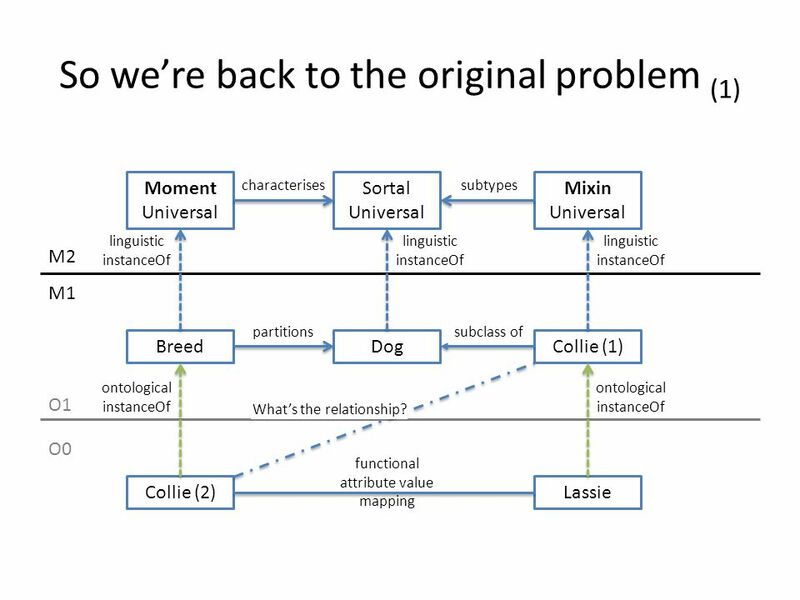 10 So we’re back to the original problem (1) Sortal Universal Dog Mixin Universal Collie (1) Lassie M2 O1 O0 linguistic instanceOf subtypes subclass of M1 ontological instanceOf linguistic instanceOf Moment Universal Breed Collie (2) characterises partitions ontological instanceOf linguistic instanceOf functional attribute value mapping What’s the relationship? 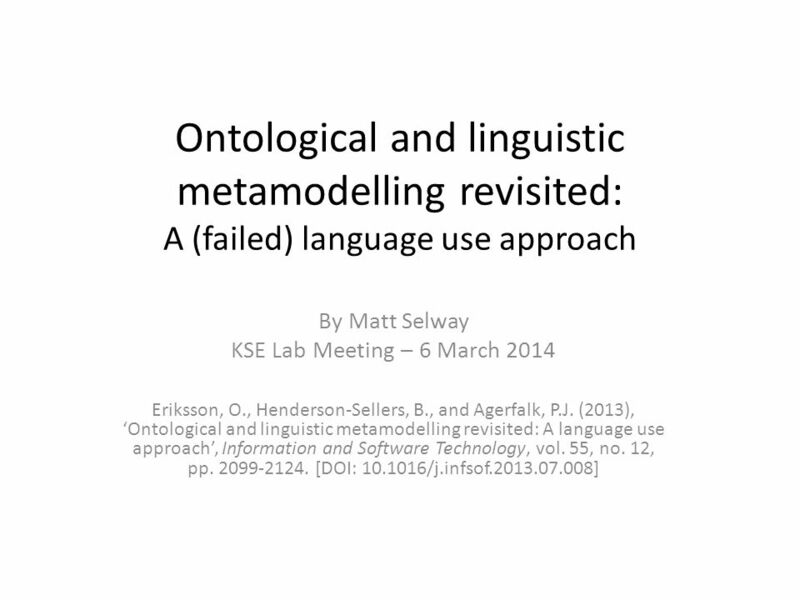 Download ppt "Ontological and linguistic metamodelling revisited: A (failed) language use approach By Matt Selway KSE Lab Meeting – 6 March 2014 Eriksson, O., Henderson-Sellers,"
Major Influences on the Design of ODM Dan Chang (IBM) Elisa Kendall (Sandpiper) MDSW 2004. 1Model Driven Architecture – 3. 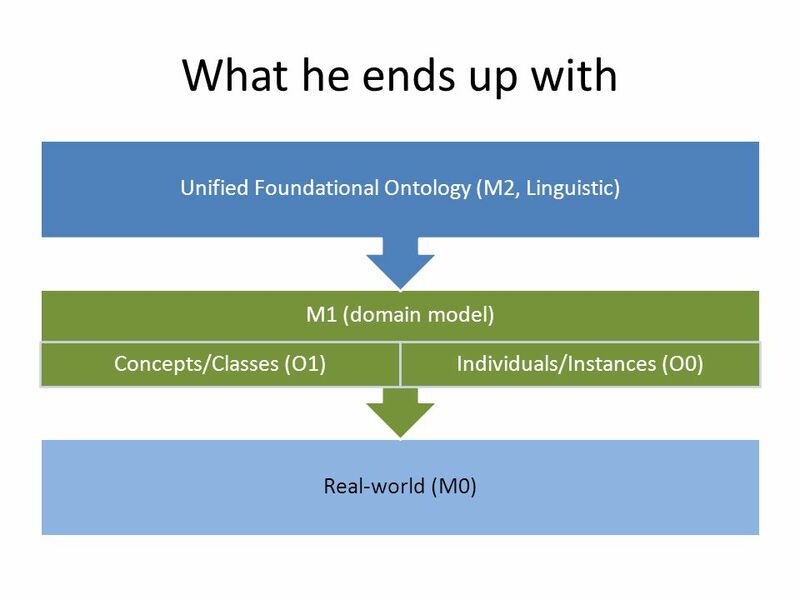 März 2008 – Siegfried Nolte 1.UML – What is it and what is it good for ? 2.MDA – What is it and what is it good for ? 3.MDA. 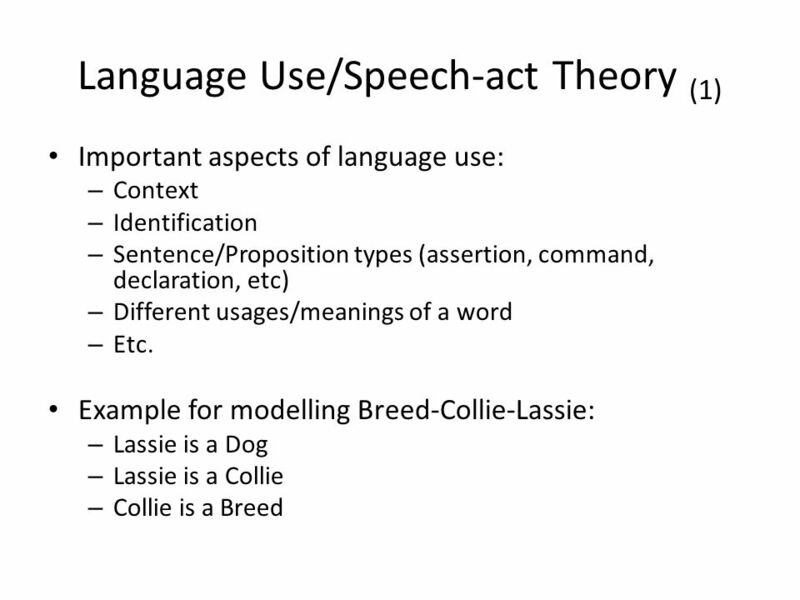 1 CIS224 Software Projects: Software Engineering and Research Methods Lecture 11 Brief introduction to the UML Specification (Based on UML Superstructure. 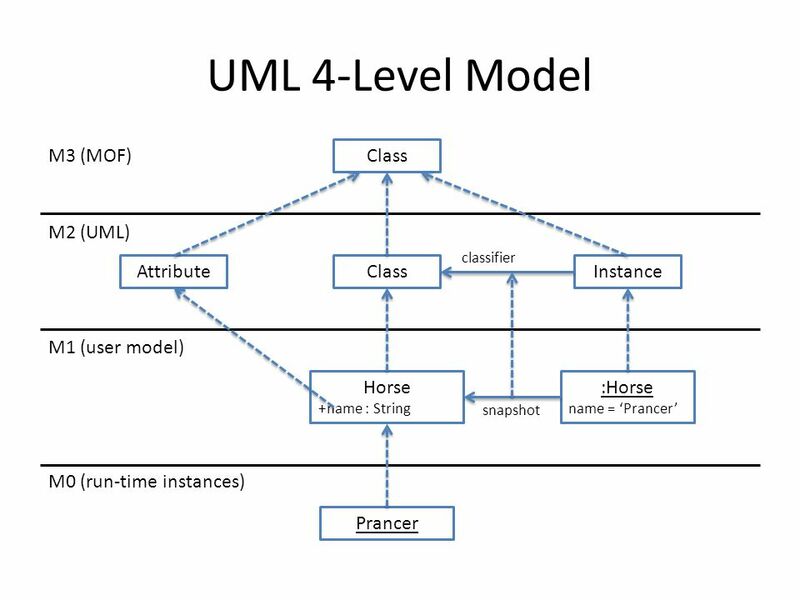 Using UML, Patterns, and Java Object-Oriented Software Engineering Chapter 2, Modeling with UML, Part 4 UML 2 Metamodel. SEG4110 – Advanced Software Design and Reengineering TOPIC D Metamodelling. Edition 3 Metadata registry (MDR) Ray Gates May 12, /05/20151. Copyright © 2011 Pearson Education, Inc. Publishing as Pearson Addison-Wesley Chapter 8 The Enhanced Entity- Relationship (EER) Model. ©Ian Sommerville 2006Software Engineering, 7th edition. 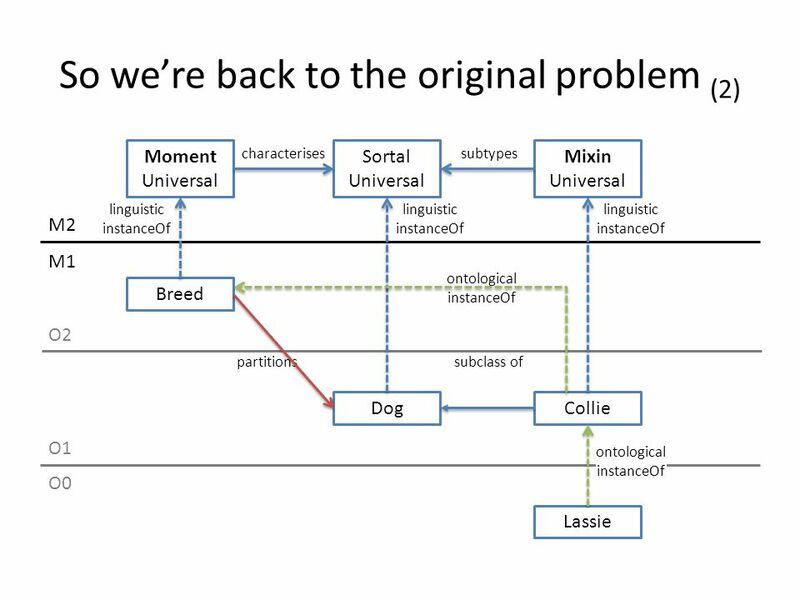 Chapter 14 Slide 1 Object-oriented Design. Geographical Data Modeling UML and Data Modeling Elements Examples from the Marine Data Model and ArcHydro (Thanks to Dawn Wright) Longley et al., ch. Entity-Relationship Diagrams Elements, Syntax Guidelines Dictionary. 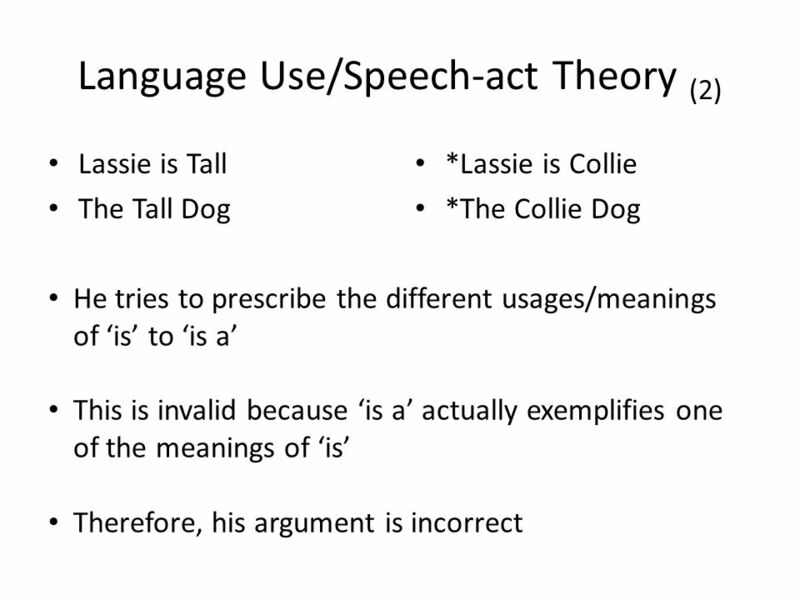 Kari R. Schougaard, PhD Stud. 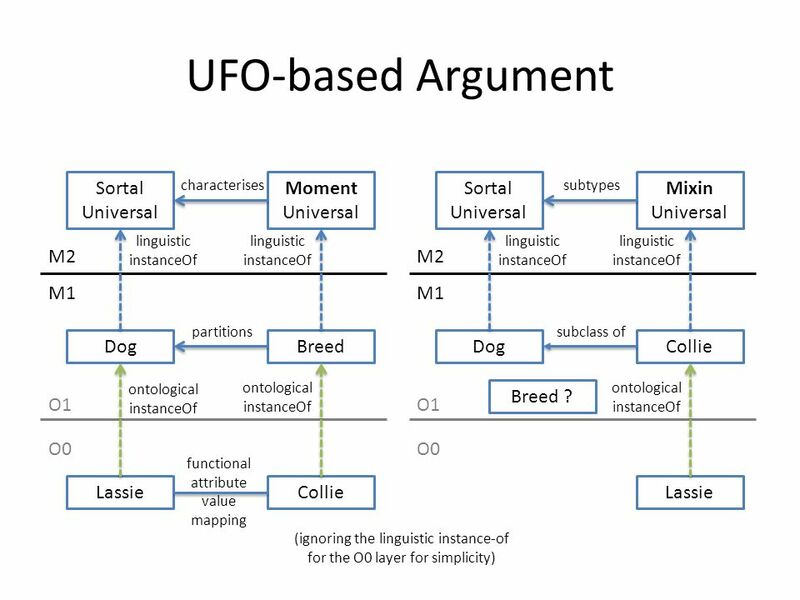 Værktøjer og Teknikker, 2006 UNIVERSITY OF AARHUS Department of Computer Science Unified Modeling Language Visual language. 6. 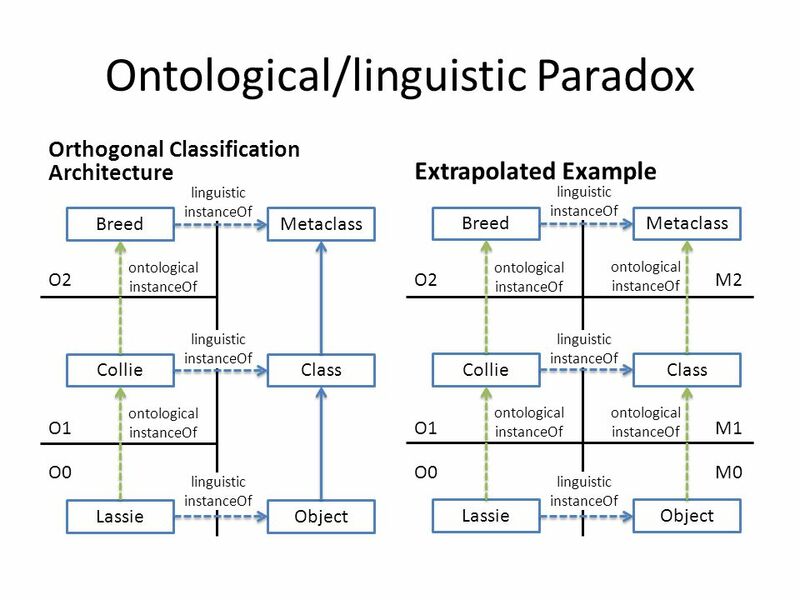 2Object-Oriented Analysis and Design with the Unified Process Objectives  Explain how events can be used to identify use cases that define requirements. 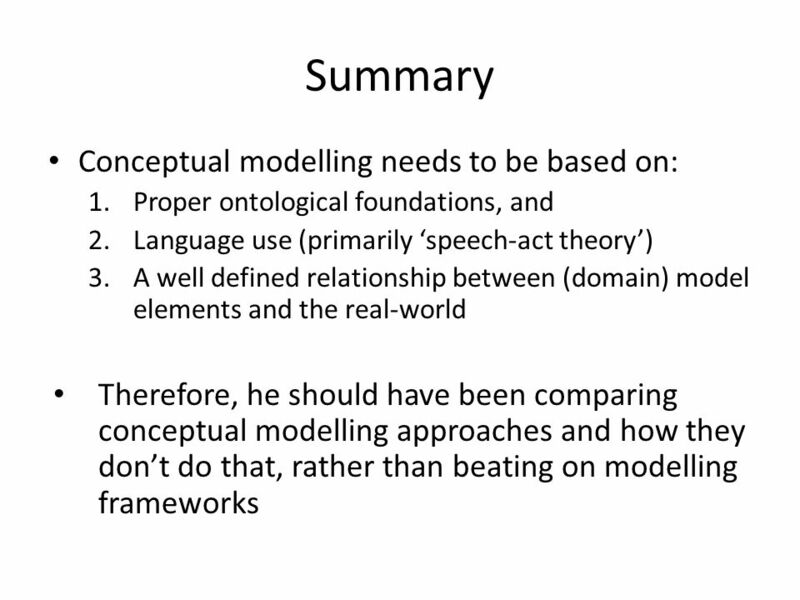 A novel approach to modeling Zvezdan Protić, Tom Verhoeff, Mark van den Brand. BTS430 Systems Analysis and Design using UML Domain Model Part 1—Finding Conceptual Classes.